Hello Katie Girl: Donut You Love This Hat? Donut You Love This Hat? First, I would like to give a big shout out to the nice people working at the Long Beach Big Five Sporting Goods store for making this post possible! You see, I had to do an outfit change in order to do this post, but this area had no public restrooms whatsoever. I went in to Big Five and looked sad like I really needed to go to the bathroom and they gladly let me use the employee restroom. They probably thought it was weird when I came out in a different outfit but maybe no one noticed! Also, I give props to my husband for not only holding my hat while I was inside, but for wearing it. He texted me this when I was in the restroom: "When you come outside, I'll be the man on the corner across from Chuck E. Cheese's wearing the pink woman's donut hat!" Sure enough, when I went outside he was indeed there wearing the hat! So, speaking of hats, I absolutely love this hat from Charming Charlie. Unfortunately, it is now sold out but they do have a similar one with confetti that is equally adorable. 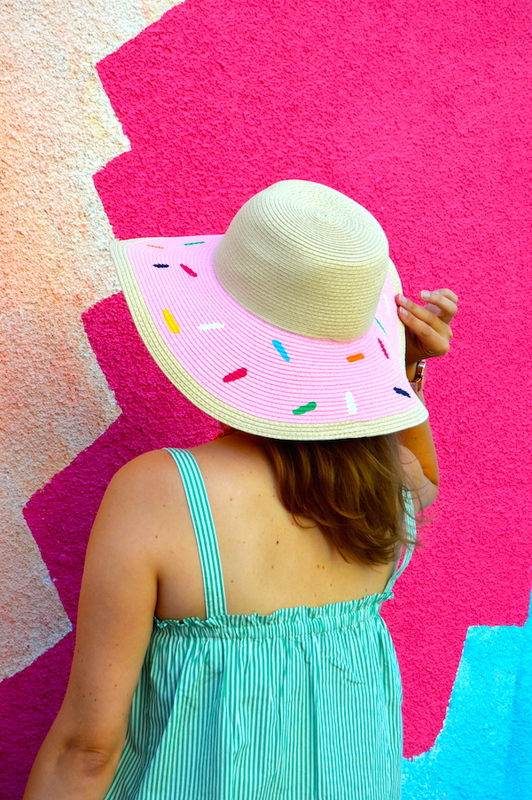 The rainbow colored sprinkles on its brim add a colorful pop to any ensemble, plus I'll definitely be wearing it on National Donut Day. (It also looked great with what my husband was wearing too!) Another thing that I love is this new wall that just went up a few months ago in Long Beach. 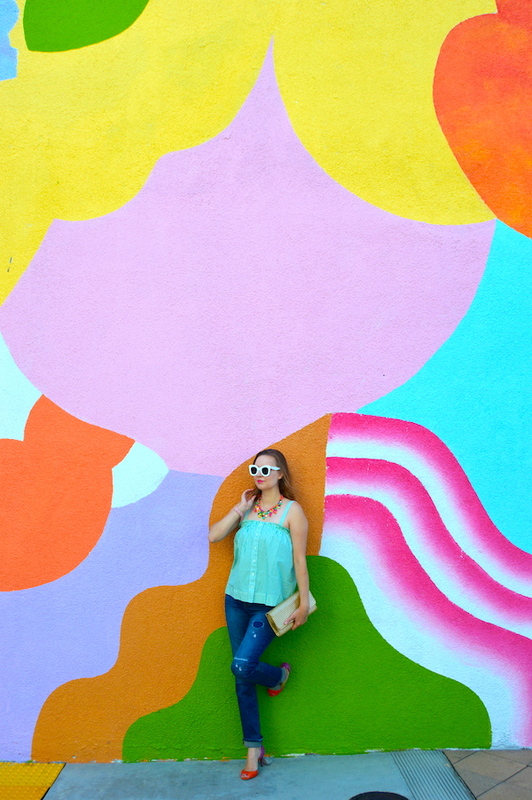 Move over West Hollywood, Long Beach is now becoming the epicenter for amazing, colorful walls! I love the story behind this post!! What a nice hubs, too! That hat is epic!!! Loving all the color! That top is so cute! Haha, when I need to change for outfit photos I just take my chances and do it in the car! But that was nice of the store to let you change. I suppose a retail store with a dressing room would be a good option too, no? And yes, it's hard not to love that hat! Ha! They probably didn't even notice. Love the sprinkles on the hat. Donuts for life! I love that your husband has a sense of humor wearing that cute donut hat. 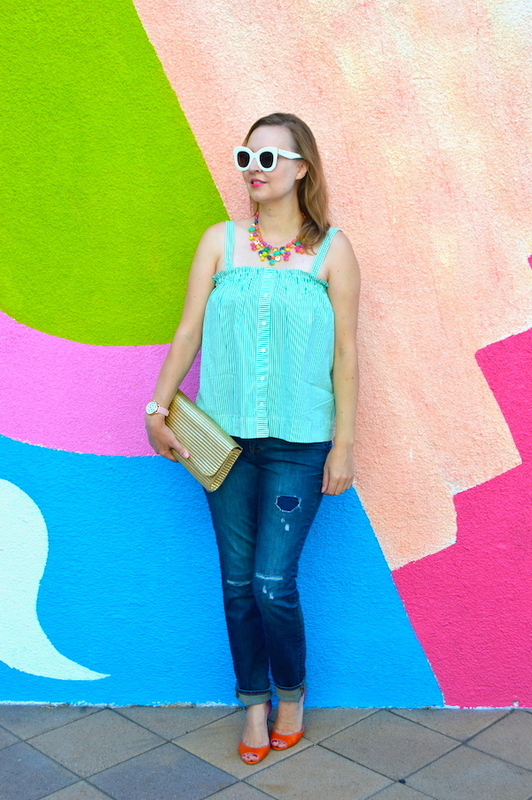 Love the top and clutch too - what a steal! 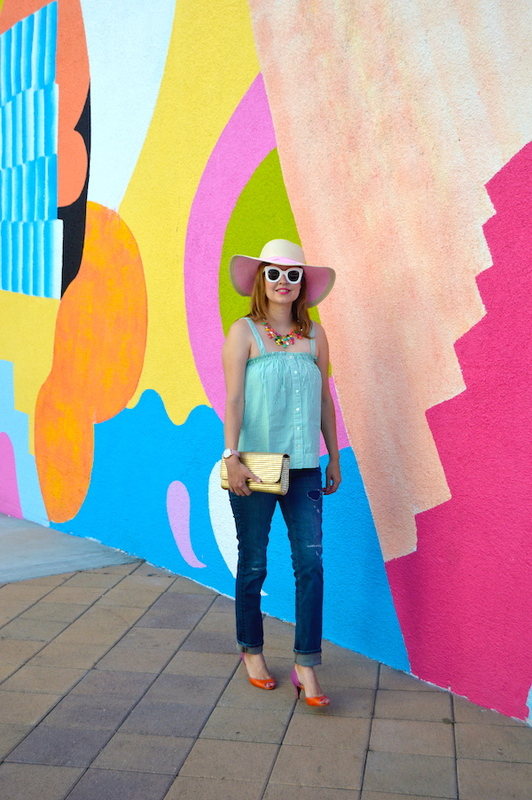 And as always the best-looking walls out of any style blogs, ever! 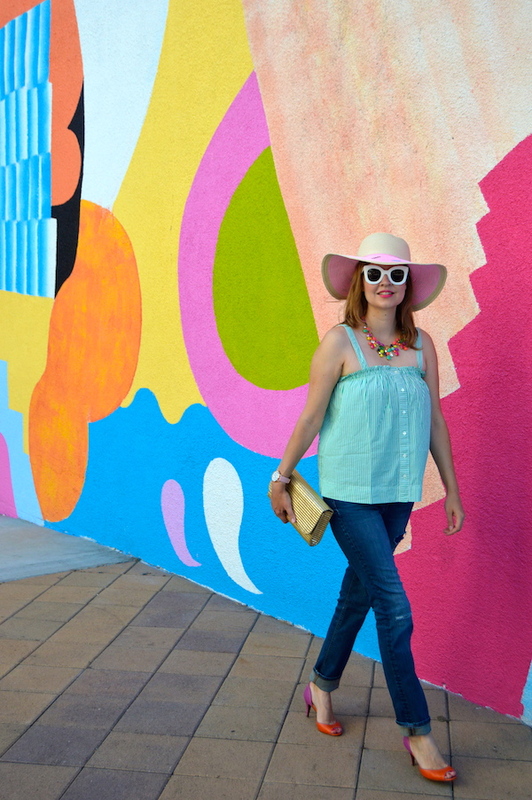 Changing is always one of those blogger problems. 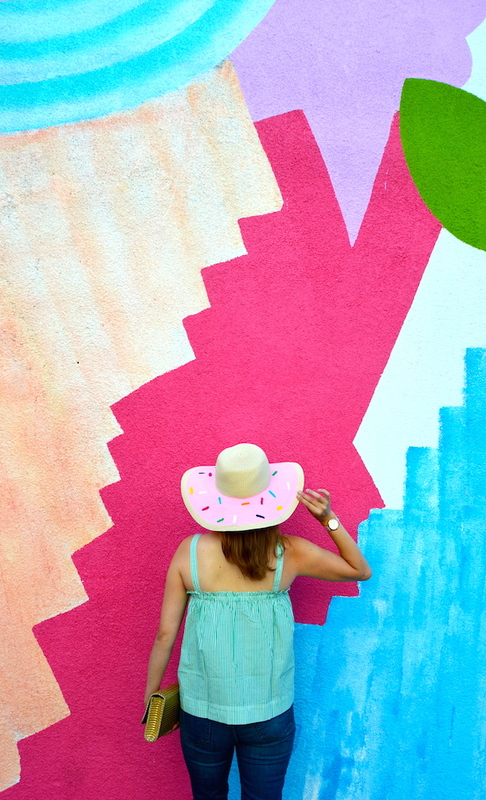 I love the donut hat and all the colors you're wearing....as always!